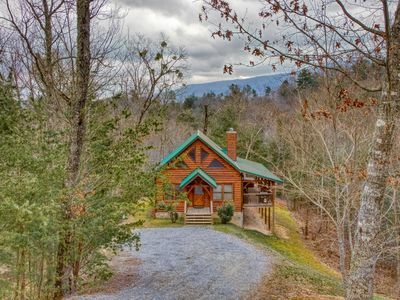 Fall in love with the beauty of the Great Smoky Mountains at this cozy 2-bedroom, 2-bathroom vacation rental cabin in Sevierville. 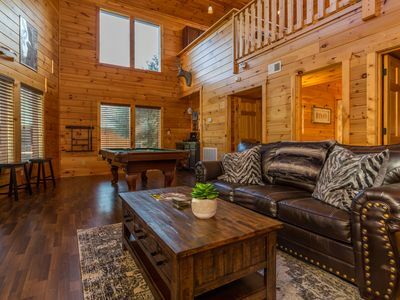 Located just ½ mile from Douglas Lake, between Pigeon Forge and Gatlinburg, this 2-story log cabin for 6 provides access to the best of the area. 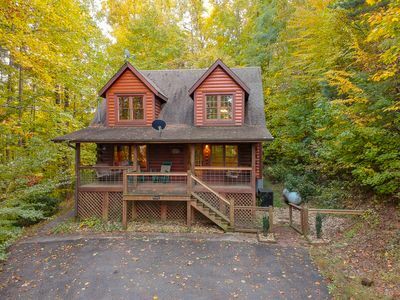 Whether you spend your days fishing in Douglas Lake, enjoying Dollywood, or relaxing on the furnished deck, you're sure to have an unforgettable stay in this 1,100-square-foot home at Douglas Lake Resort. 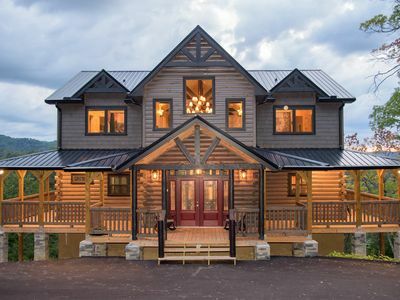 With country cabin decor, this home boasts a rustic yet 5-star feel, making it easy feel at ease immediately upon your arrival. 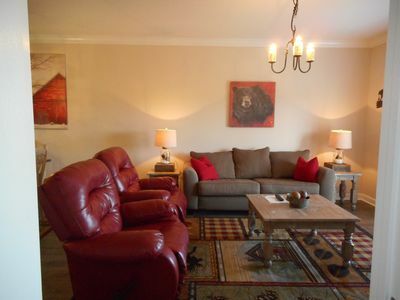 After a day of hiking, retreat into the living room, turn on the electric fireplace and melt into the recliner. 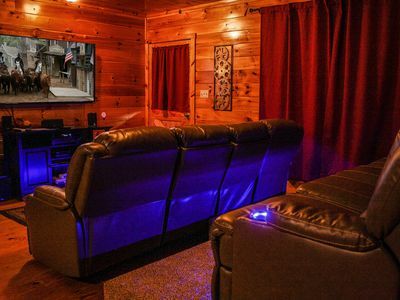 As you watch your prime time favorites on the flat-screen HD TV with Dish Network, try not to be distracted by the delicious aromas emanating from the fully equipped kitchen. 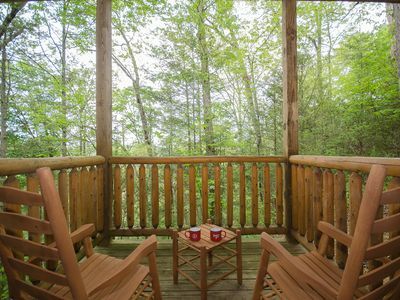 Once you've taken your final bites at the dining table for 4, spend a relaxing evening on the furnished, wraparound deck. 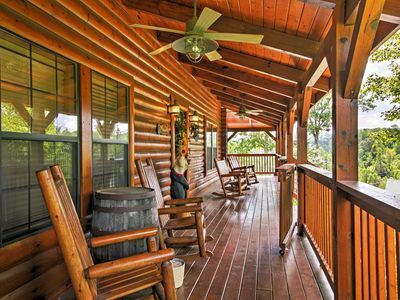 With a hot tub, gas grill, porch swing, and endless seating, the porch is the perfect place to reflect on the day's adventures. 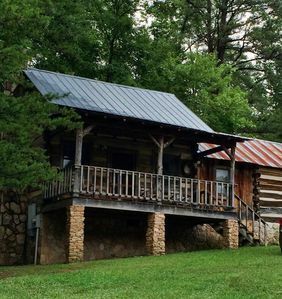 When it's time to hit the hay, head into one of the 2 bedrooms and drift to sleep under the exposed beam ceiling. 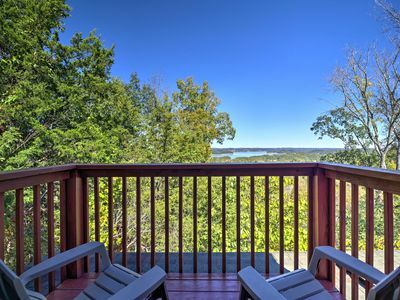 In addition to the en-suite bathroom and flat-screen HD TV with Dish Network, that you'll find in both bedrooms, the master bedroom features a small private deck with awe-inspiring views. 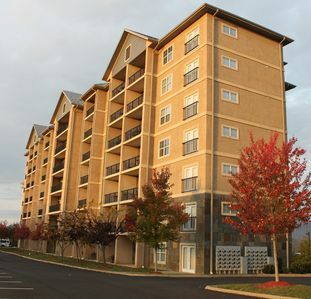 There is a seasonal community pool just steps from the property and a clubhouse that can be rented with ease. There is also a boat launch available for use. 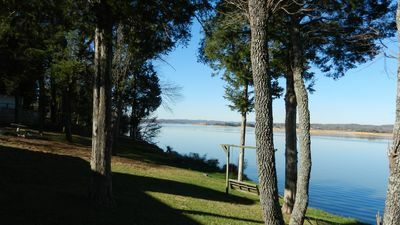 Be sure to check out Douglas Lake during your stay. Located just ½ mile from the property, this beautiful lake spans over 30,000 acres and offers boating swimming, bass fishing, and more. 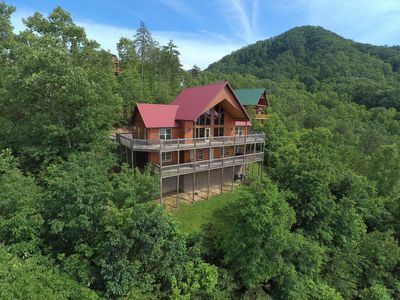 Gatlinburg, sitting 40 minutes down the road, is home to delicious restaurants, such as Smoky Mountain Brewery, and unique attractions like the Ripley's Aquarium of the Smokies. 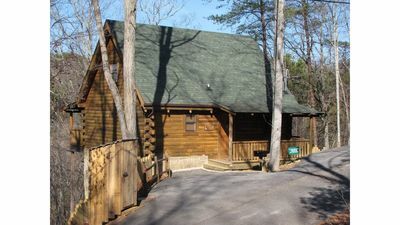 Ober Gatlinburg, a unique ski resort, is also nestled in this mountain town. Traveling with kids? 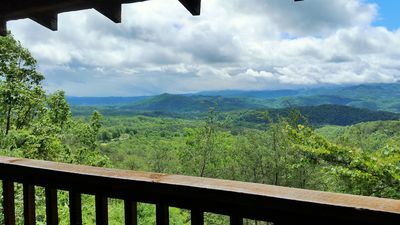 Spend a day at Dollywood, the brainchild of Dolly Parton. This theme park, just 30 minutes away, is home to a water park, high-octane rides, and unique shows that you'll never forget. 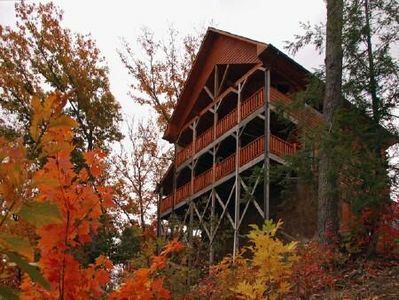 - Amenities include a fully equipped kitchen, 3 flat-screen HD TVs with Dish Network, a hot tub, furnished deck, gas grill, lake views, a hair dryer, community pool access, a boat ramp, clubhouse, in-unit laundry machines, parking for 2 vehicles, and more! 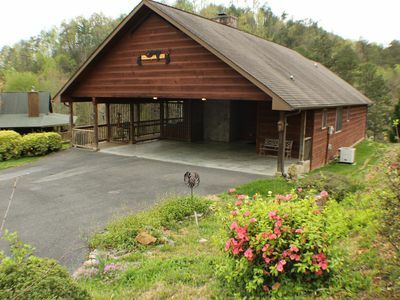 - Unbeatable Sevierville Location - ½ mile from Douglas Lake, 40 minutes from Gatlinburg, 30 minutes from Dollywood, and more! 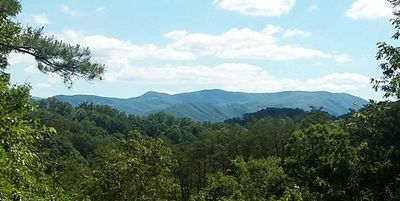 Mountain Views On The Parkway in Downtown Pigeon Forge! Family Getaway! OWNER MANAGED! GREAT VIEWS! IN TOWN! LACKING NOTHING! 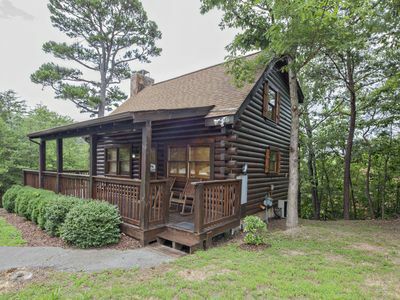 ER103 - Knotty Pine | Great location - Close to town! Stunning Mountain Views with Magical Sunsets. 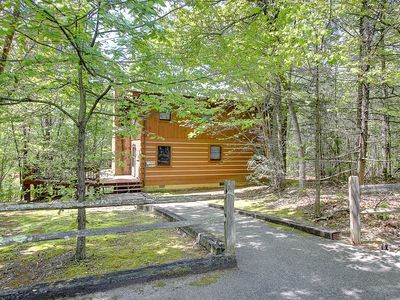 Nestled high above Wears Valley in a wooded setting, very secluded. April/May Weekday Deals! 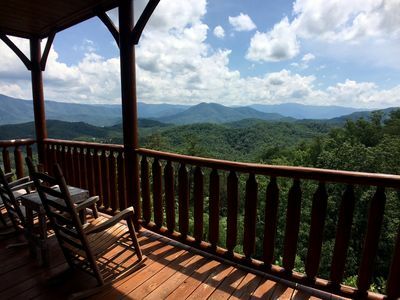 Spacious, Privacy, Amazing Mountain View!